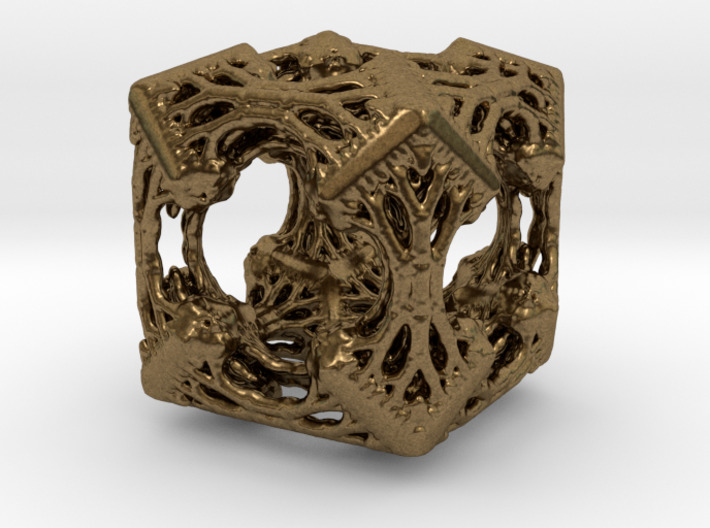 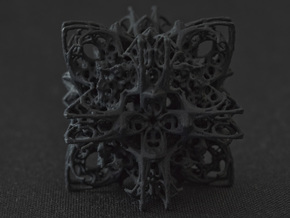 This is the last 3D printed part of a multi artwork project involving this unique Hyperbolic Menger Cube. 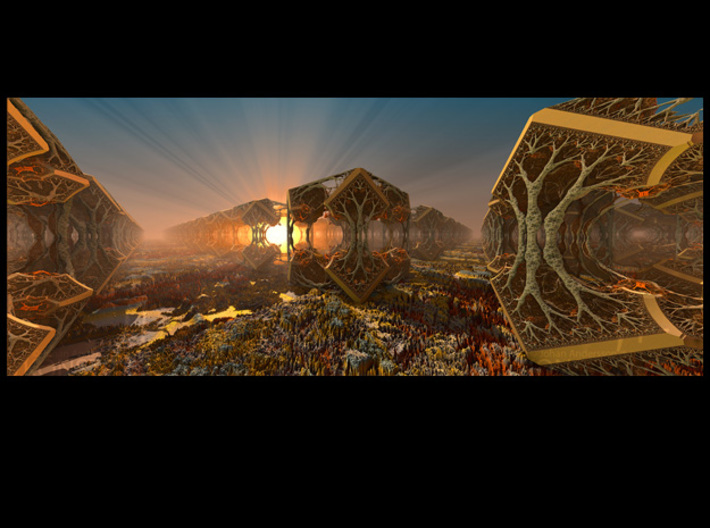 Follow me on Twitter to see the rendered fractal images and animations as they emerge. 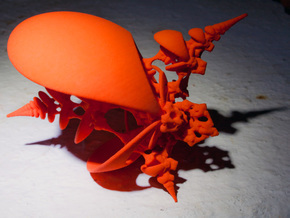 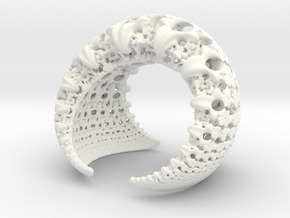 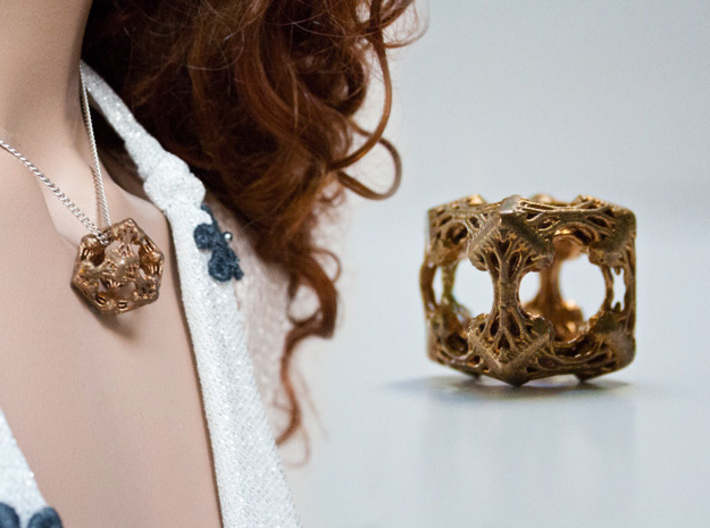 The 3D printed series includes two more 3D printed versions with other materials, size and function. 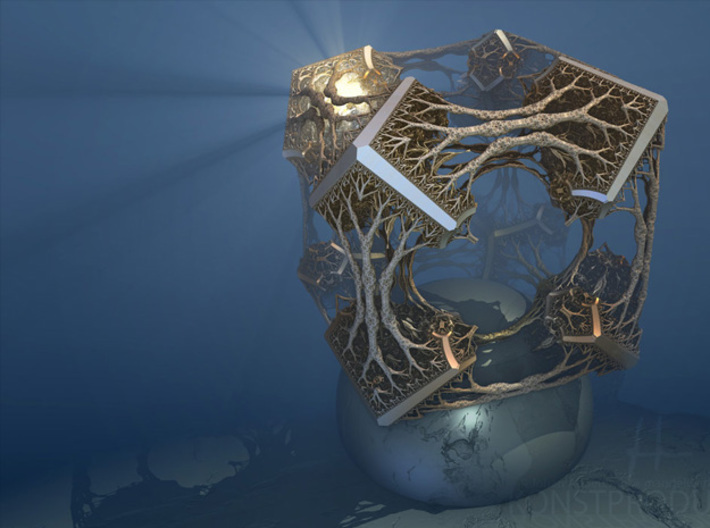 I just love when fractals mimic nature. 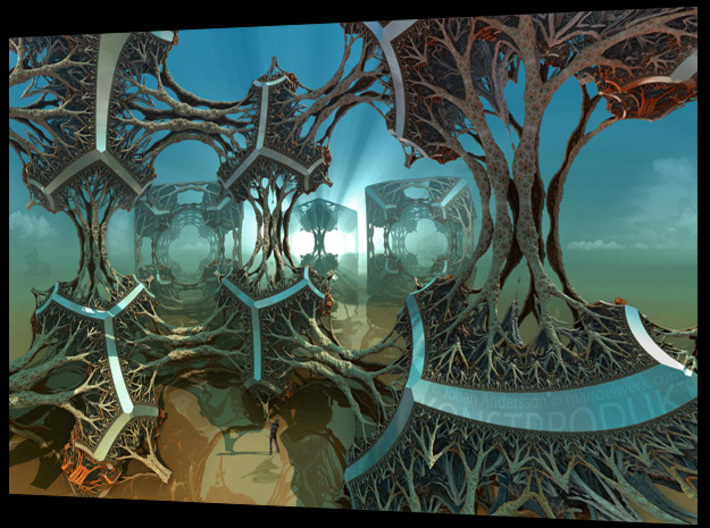 (or was it the other way around?). 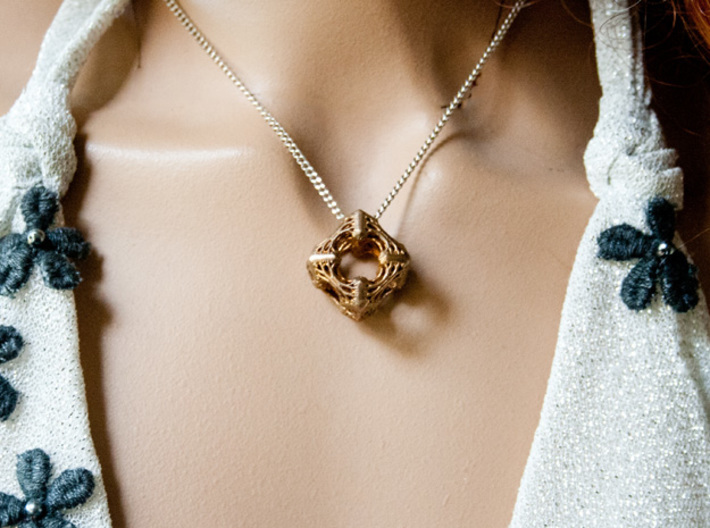 A symbol of how it is all connected. 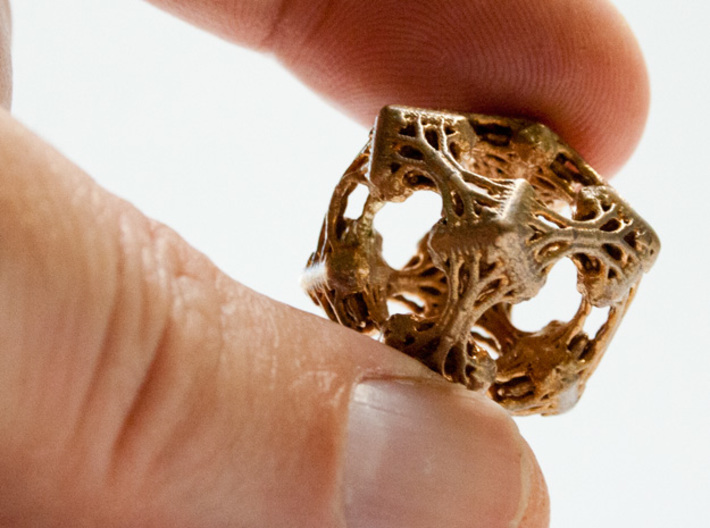 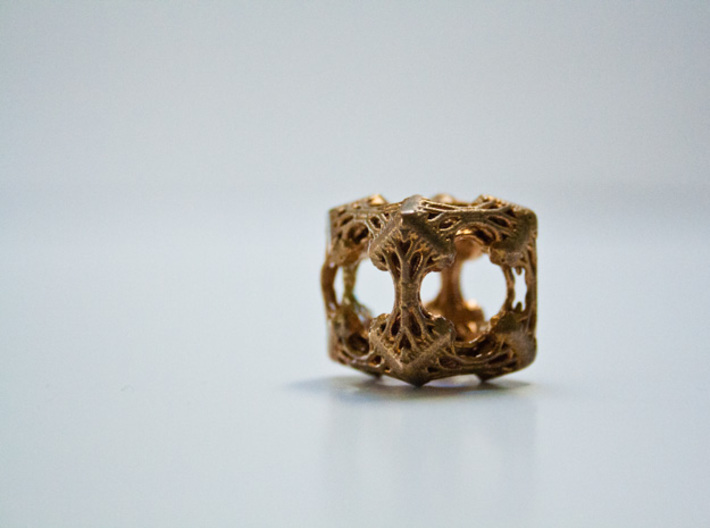 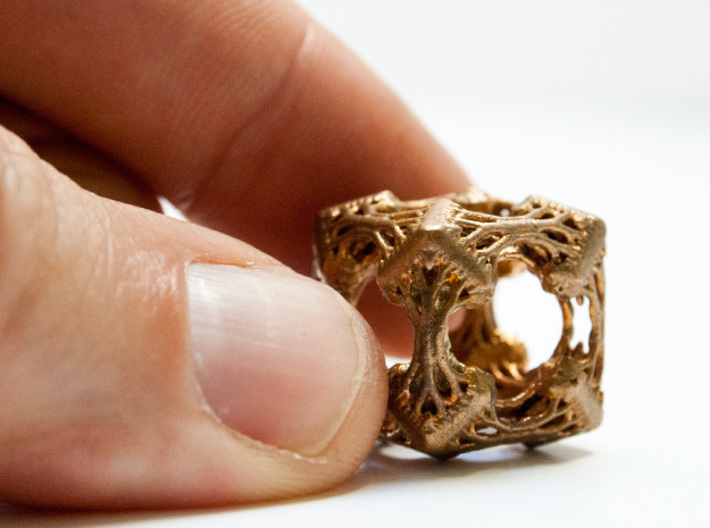 Shapeways did a great job to get this delicate piece casted with this high quality and detail in bronze.